I love plastic. There, I said it. It’s on your screen. This gal loves plastic. Let’s break this down before you question why a person that blogs about ways to avoid plastic is writing something that appears to go against the ethos of this blog and will be saved in a digital database somewhere, never to be deleted. At the end of last year I decided to buy a bike. I do not have a car in Melbourne. I had moved here after being in London, a city that caters for the pedestrian. Once I discovered that Melbourne did a not too shabby job with their public transport I continued on with my walking, hiking and shuffling as my mode of transport. But as I moved out to the ‘burbs with the builder he asked if I would get a car. While I still had great transport access, the walk to the shops, train station and tram was a little bit longer. So I decided on a bike. It was so much cheaper than a car, plus I get the added bonus of incidental exercise. As I started to shop around I quickly realised that if I were to get a bike I would need to get a plastic helmet (Australian law). And on closer inspection there were certain objects on the bike that were made of plastic. The silly plastic guilty feeling took over. I ummed and ahhed. Maybe I could solve the feeling of guilt by buying a second hand bike and helmet. I spoke with as many bike enthusiasts I came across, asking them if that would be a good move; did second hand match up against a new bike. To which most of them sided with buying a new bike so then I knew the bikes history saving me money on any potential problems especially if I was considering commuting for an hour to work each way. During this back and forth thought process I was reading Plastic: A toxic love story by Susan Freinkel. The book delves into the history of plastic. From its invention to being a steady unavoidable staple in our lives. The book opens with the author listing all the plastic items she comes into contact with in an average day. The list spans four pages with most of the items being simple packaging. It is clear to see from Susan’s list that plastic is everywhere. The book looks out how our lives have come to rely on this petroleum byproduct. Chronicling its development through items such as the lawn chair, frisbee, plastic bag, personal grooming items and medical use. I was reminded of the valuable role plastic has played in our society. This book is neither a praise for plastic nor a criticism, but a well rounded retrospective of its past, present and future. The book left me with the thought that we cannot blame plastic but only ourselves for what we do it with it and how we use it. Yes, our use in the past was not well thought out but there is so much room in our future to act on rethinking and reducing its place in our lives. I cannot fault the need for plastic when it comes to giving someone the ability to walk through prosthetic's. But its use in packaging needs to be seriously rethought. I bought the bike. Sure it has plastic on it. But so does the seat I use when I take the train. I know these components could be made with items from nature that have a better chance of breaking down. But would public transport cost more? and would we just be removing more resources from the earth in the process? 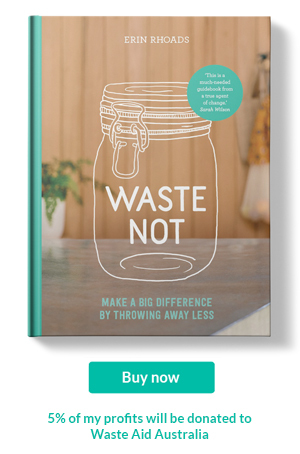 The end of the book leans towards the idea that we need to look at how we can still use plastic but in a way that does more good and less harm. There are people out there busily researching how to make this happen. 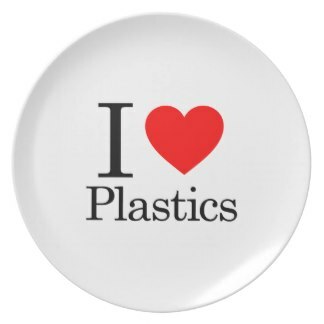 I cannot see plastic being removed from our lives completely so I can't help but cheer those people on that are looking for a better way to deal with the plastics afterlife. The components of my bike that are made of plastic are the parts I love the most. The reflectors and the lights. My helmet is made of bright white plastic and polystyrene that will help my nogan if things were to ever go astray. And my riding jacket is synthetic. Bright yellow. The builder says you can see me coming from miles away. These keep me known to others around me and make me feel safer. For a woman who is new to riding on busy roads, I like the safe feeling. This is ultimately why I bought a new bike; to feel safe. I am not promoting everyone buy a brand new bike. I am aware I will have to paddle many many kilometers to offset the carbon footprint the manufacturing a new bike creates. I am OK with this as buying a new bike was the correct choice for me financially and more importantly for my safety. As long as we, myself included, learn to use plastic well, I feel OK about it. I even love it. Hello! Happy New Year plastic-free crusaders. 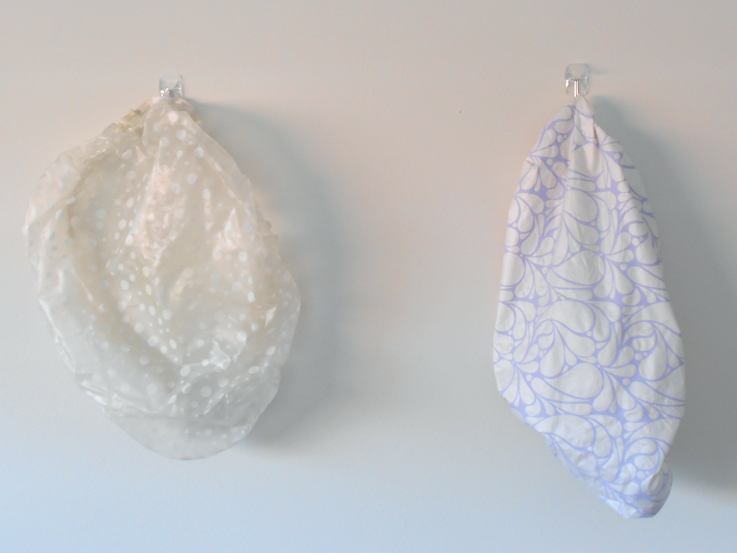 I came up with this fun idea on how to reuse shower caps, while I was packing for our road trip to Jervis Bay over the holiday season. I have been wearing a shower cap since I was a little girl. They are usually the cheap pharmacy or supermarket variety. And after a while, the elastic keeping the plastic on my head, looses its shape. 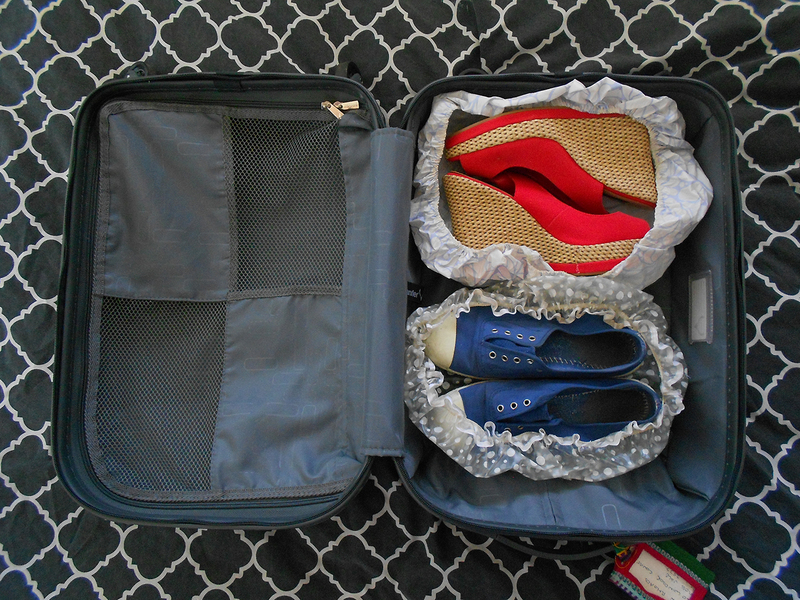 I couldn't find somewhere to recycle mine so I figured they would make great use holding my shoes in a suitcase or backpack when I travel. 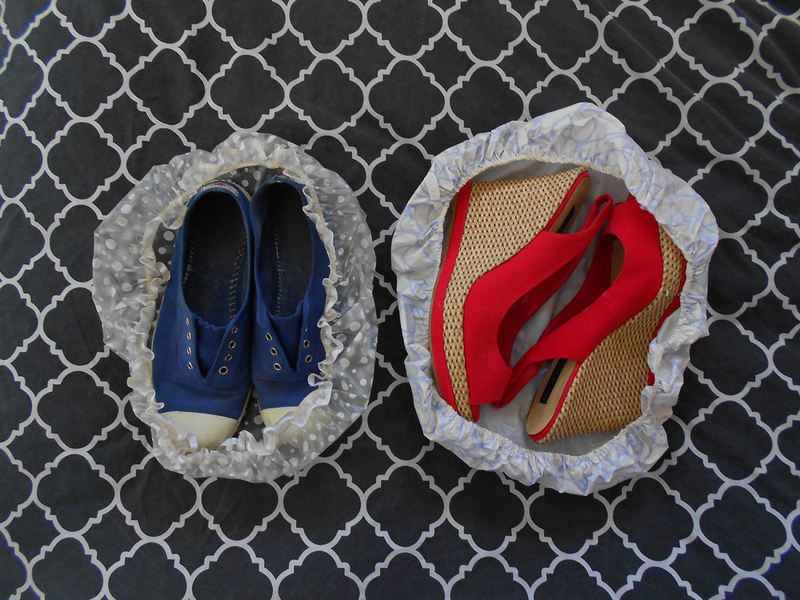 Usually I would use plastic bags to stop my shoes rubbing dirt onto my clothes. But this works great.